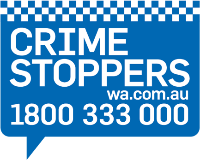 From 2017-18 the WA Police Force revised crime recording and reporting processes and practices as outlined in the explanatory notes. Archived Crime Statistics Reports are based on the previous processes and practices, and are not comparable to current data. To enable comparisons to prior periods the ‘Crime Time Series Data’ includes the revised offence classifications and reporting processes applied retrospectively to 10 years of data. Download the Crime Time Series Data. All statistics should be read in association with the explanatory material. Provides a detailed explanation of the methodology underpinning the production of the WA Crime Statistics.